Safari 5 Yayınlandı! Elma Menüsünden Software Update / Yazılım Güncelleme’ yi tıklayarak yükleyebilirsiniz. Yada bu bağlantıyı tıklayarak direk indirmeye başlayabilirsiniz. Smarter Address Field: The Smart Address Field can now match text against the titles of webpages in History and Bookmarks, as well as any part of their URL. Tabs Setting: Automatically open new webpages in tabs instead of in separate windows. Hardware Acceleration for Windows: Use the power of the computer’s graphics processor to smoothly display media and effects on PC as well as Mac. Search History with Date: A new date indicator in Full History Search shows when webpages were viewed. Top Sites/History Button: Switch easily between Top Sites and Full History Search with a new button that appears at the top of each view. Private Browsing Icon: A “Private” icon appears in the Smart Address Field when Private Browsing is on. Click on the icon to turn off Private Browsing. DNS Prefetching: Safari looks up the addresses of links on webpages and can load those pages faster. 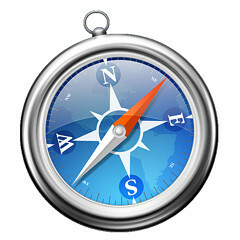 Improved Page Caching: Safari can add additional types of webpages to the cache so they load quickly. XSS Auditor: Safari can filter potentially malicious scripts used in cross-site scripting (XSS) attacks.